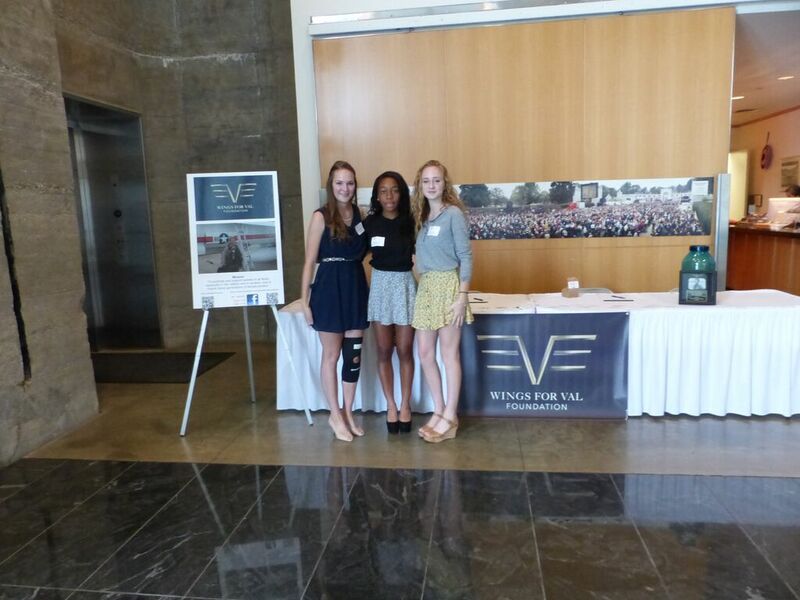 The Wings for Val Foundation has officially launched with a resoundingly successful series of kick-off events last weekend, raising nearly $10,000 towards our mission of honoring Val’s legacy by inspiring the next generation of female leaders. 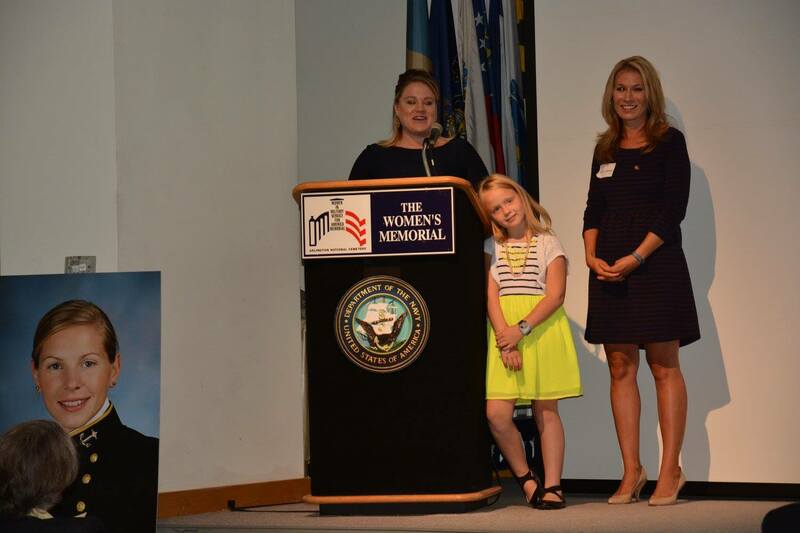 On Saturday – over 150 people gathered at the Women’s Memorial at Arlington National Cemetery to celebrate the launch of our Foundation and to hear from several amazing keynote speakers. 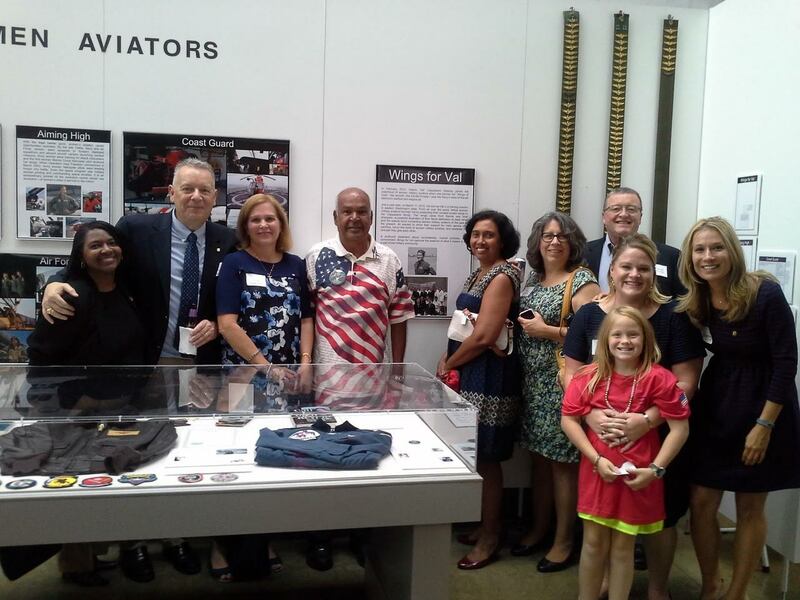 In attendance, we had many close friends and family, active duty and retired military personnel, including 5 of our advisory board members, several Gold Star family members, and people of all ages and walks of life who had been touched by Val’s story. 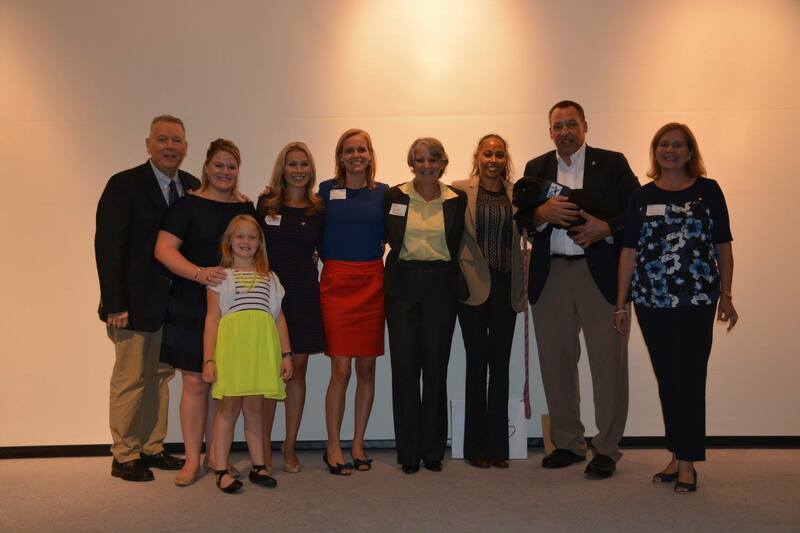 For me, it was an honor to emcee the event and to share Val’s story and how our family has taken Val’s motto of “ADAPT AND OVERCOME” to heart by rising above the tragedy of her death and doing something positive in her honor. I was humbled by the surreal feeling throughout the whole evening that, while this was something I never imagined I would be doing, it was exactly what I was meant to be doing. 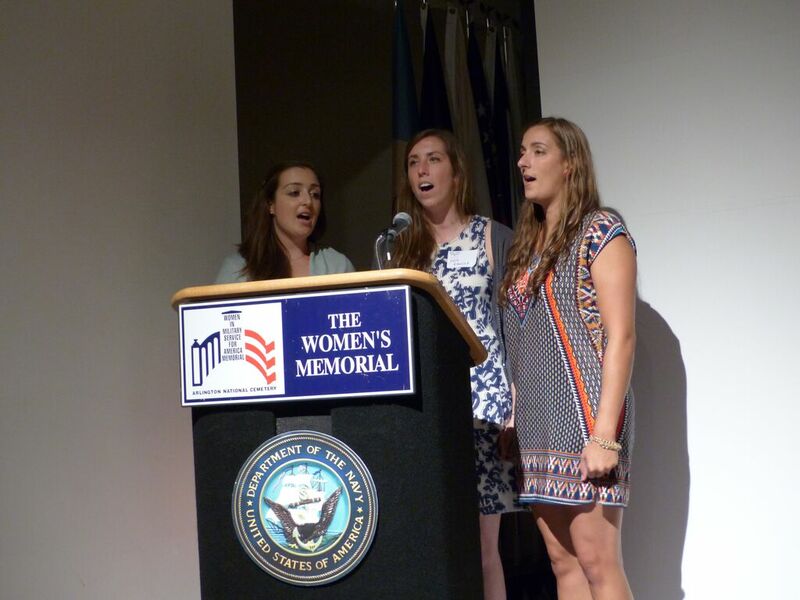 After my introduction, we heard from two very special representatives from the Travis Manion Foundation (TMF) who shared how their own personal stories of loss have also translated into incredible acts of service and leadership. 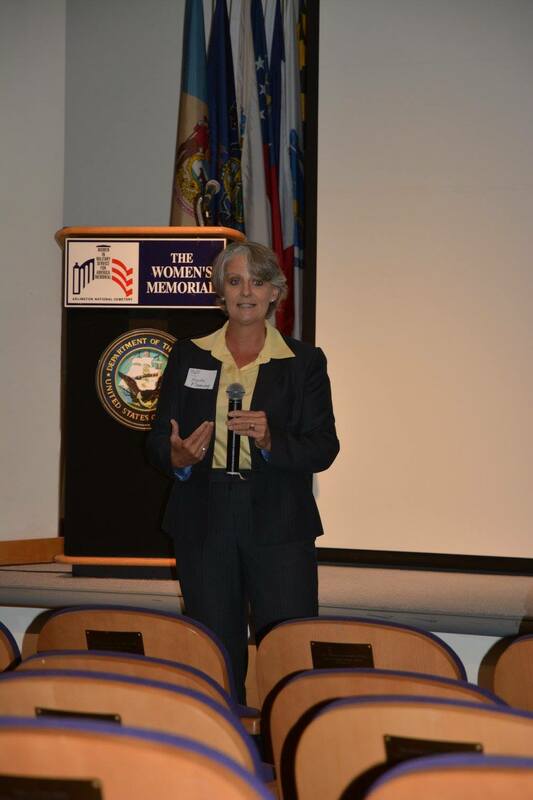 Amy Looney is the Director of Survivor Services for TMF and lost her husband, LT (Seal) Brendan Looney in 2010 in Afghanistan. 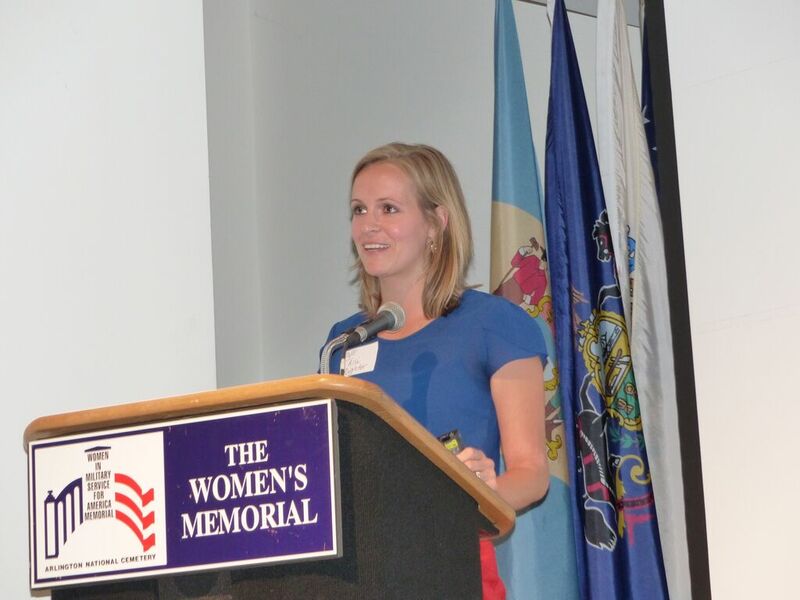 Amber Baum is a TMF ambassador who lost her husband, Army Sgt. Ryan Baum in Iraq in 2007 when she was 9 months pregnant with her daughter Leia, who also joined us. In recognition for all their work towards “honoring the fallen by challenging the living”, we awarded them with specially designed honorary wings designed by my dad using a 3D printing service. 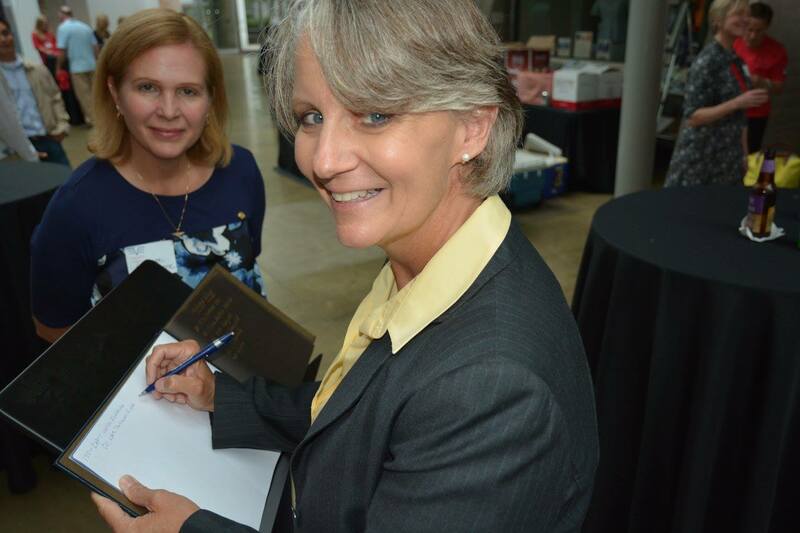 We can’t wait to continue working closely with TMF in the future. 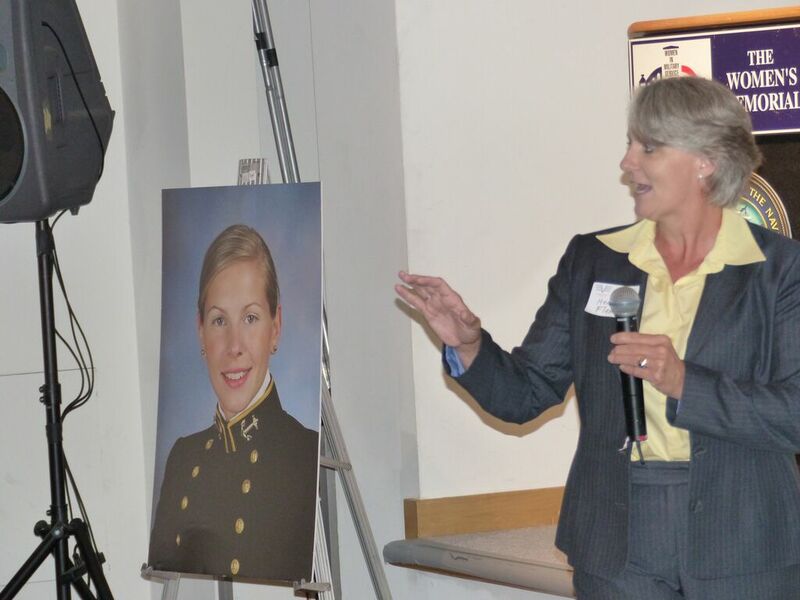 We then heard from Captain Heidi Fleming, ’89 USNA grad and naval flight officer, who currently serves as the first female Commanding Officer of Naval Air Station Patuxent River, MD. A few connections to PAX River — Not only was my great grandfather the Commanding Officer at the nearby Naval torpedo testing facility in Piney Point during WWII (my family still has a beach house in Piney Point), but Val did an internship at PAX River in 2008, where she took her very first ride in a Navy jet. We were so excited to have Captain Fleming join us to represent PAX River and to share some of her personal journey and leadership lessons learned along the way. With her engaging and natural speaking abilities, she expressed her passion for female mentorship and acknowledged how she stands on the shoulders of those who came before her. To our surprise, she closed her talk by presenting us with a pair of her wings that she added to the Wings for Val collection and guestbook at the exhibit. 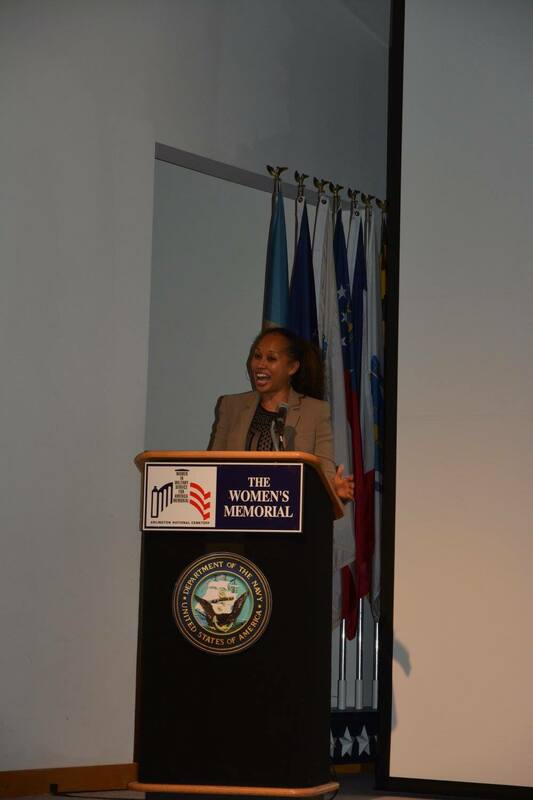 We also heard from another fearless female leader with incredible moral courage, Kimberley Motley. 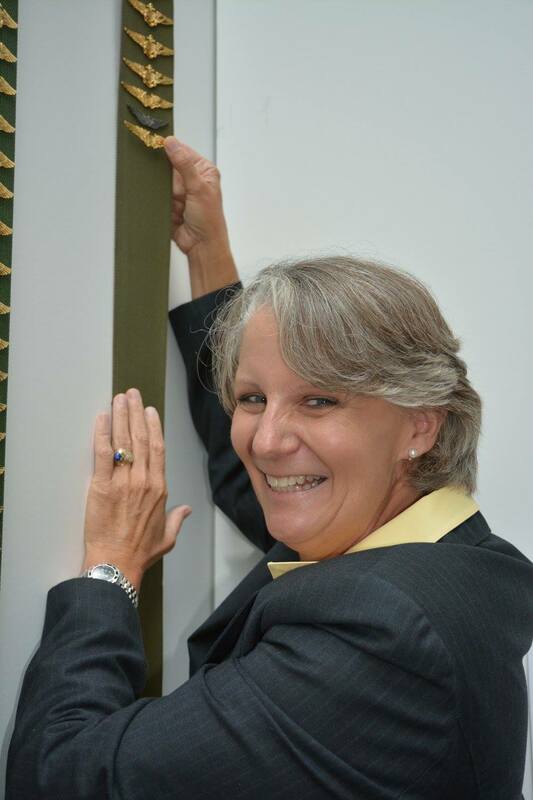 An American lawyer who does a lot of work internationally, Kimberely Motely is considered one of the most effective defense attorneys operating in Afghanistan. She is now helping the first female Afghani military pilot CAPT Niloofar Rahmani against Taliban threats to her life and her family’s life. We were honored and amazed that she shared some stories of her work with us (before getting back on a plane to Afghanistan that same night!) and to hear that Capt. Rahmani is currently in the United States continuing to pursue her dream of aviation. Last but not least, we had a fury friend make her debut appearance .. and she totally stole the show! 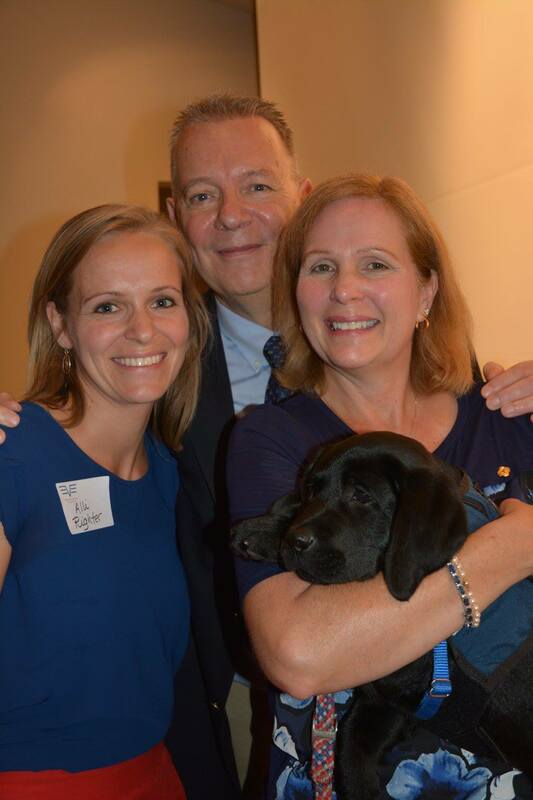 Delaney is a service dog named after our Val by Warrior Canine Connection, an organization in Brookville, MD that enlists recovering Warriors in a therapeutic mission of learning to train service dogs for their fellow Veterans. 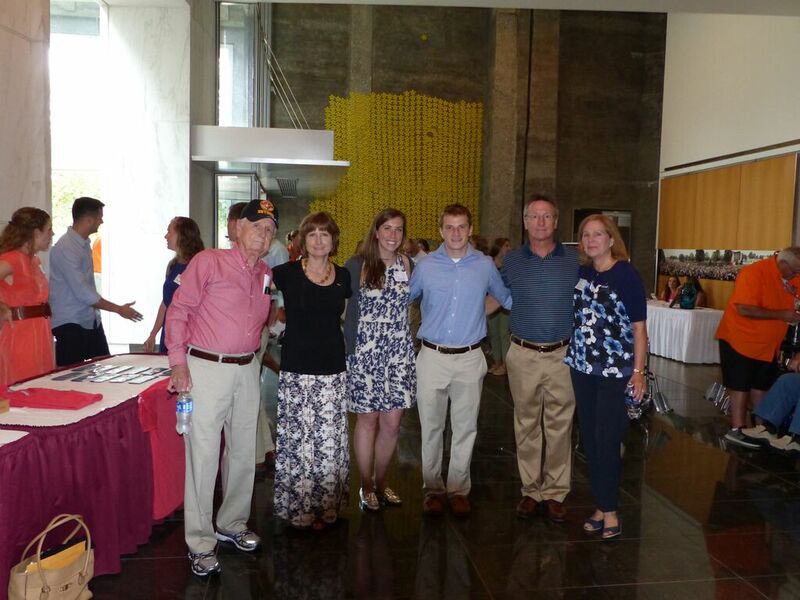 Rick Yount, CEO, was there with Delaney to tell everyone about his work and let Delaney receive lots of love and attention. 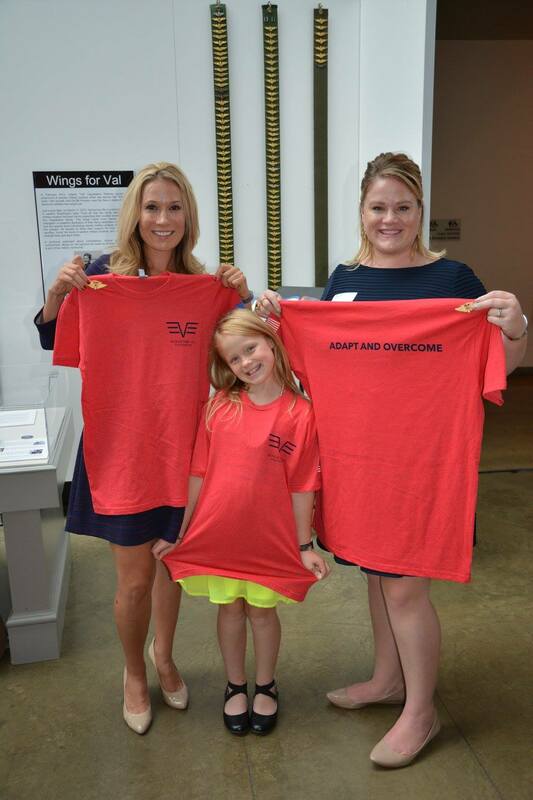 Amy, Leia, and Amber showing off our t-shirts in front of the Wings for Val exhibit. 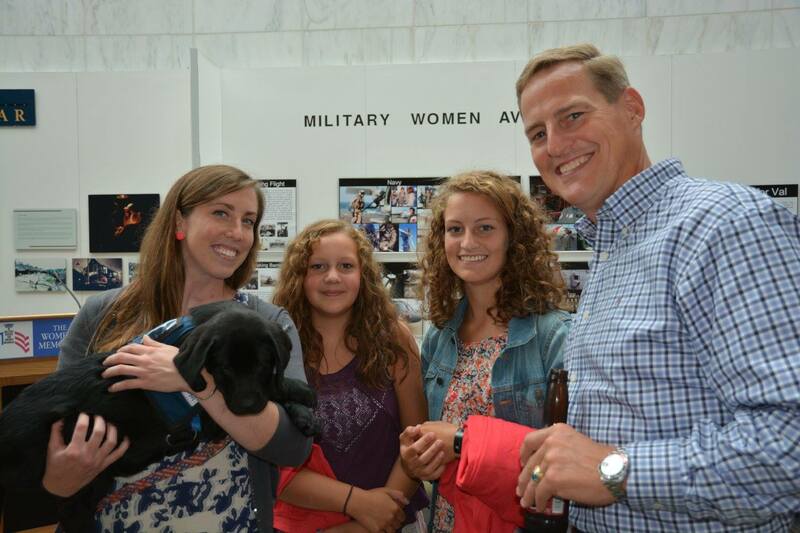 Erin Rawlick (Val’s friend/advisory board member) with Delaney and Commander Jon Stevenson (PAX River) and his two daughters. After a good night’s sleep on Saturday, we were all rested up for another big day on Sunday. 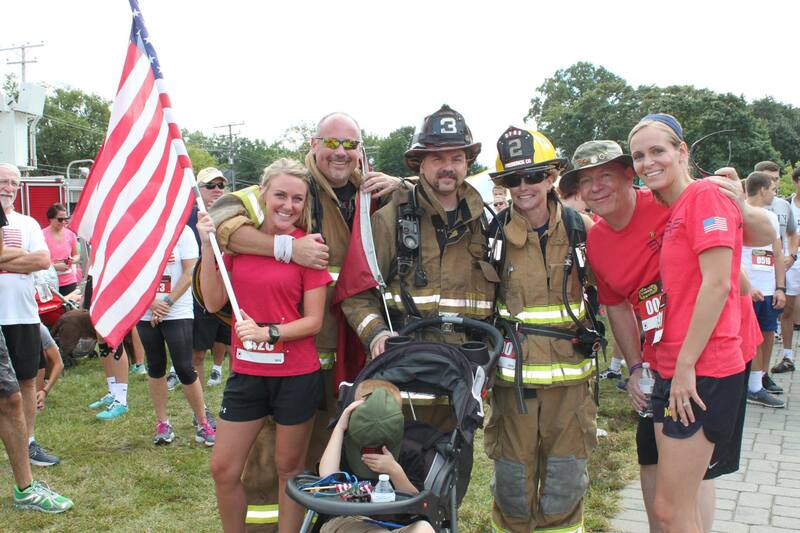 We participated in TMF’s Annapolis 9/11 Heroes Run and had 65 people on our Wings for Val team – wow! 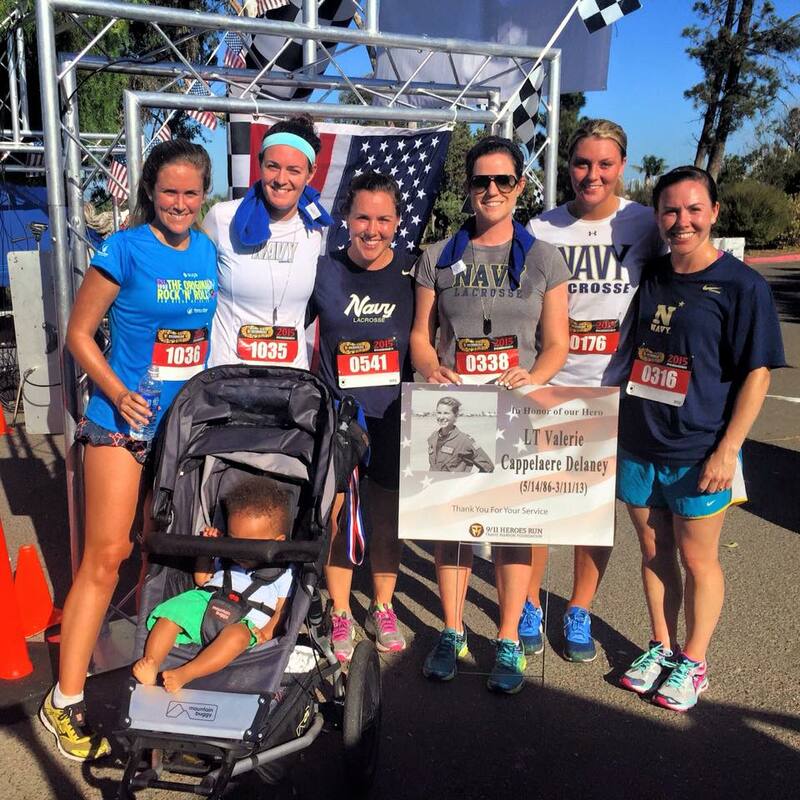 It was a gorgeous and breezy fall day – perfect for running/walking the 5k in the neighborhoods around the Navy Marine Corps Memorial Stadium with over 1500 runners to honor all the servicemen and women lost on 9/11. 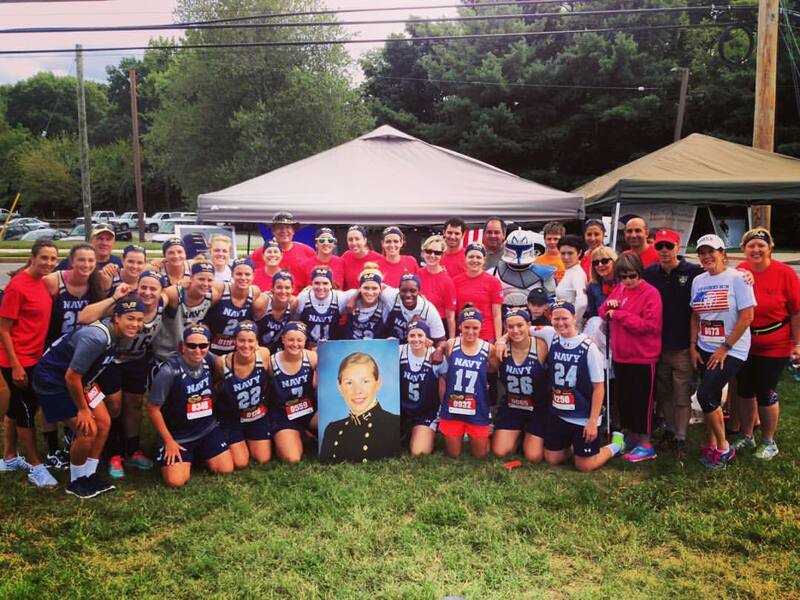 We were thrilled to have nearly the entire Navy Women’s Lacrosse team participate on our team in their fellow fallen teammate’s memory, all while repping our cool headbands. 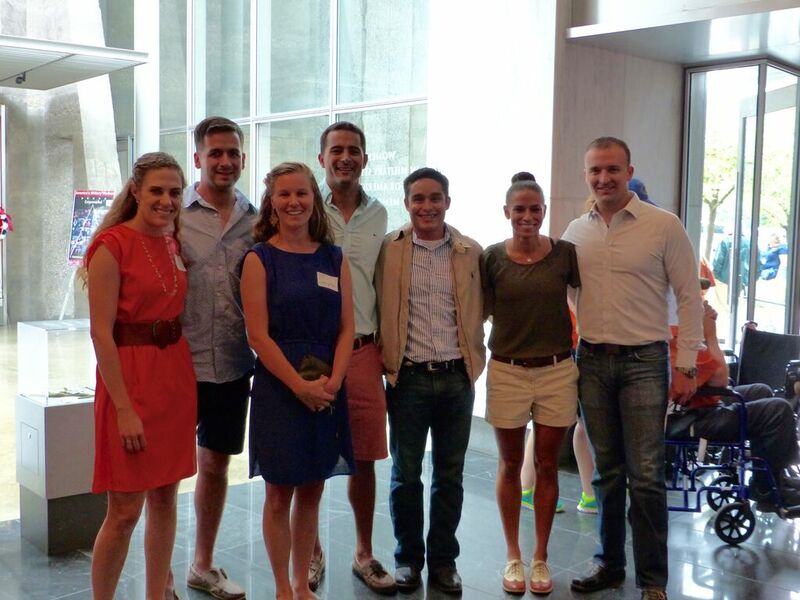 (Even several teammates/alumni out on the West Coast also ran in Val’s memory that day!) 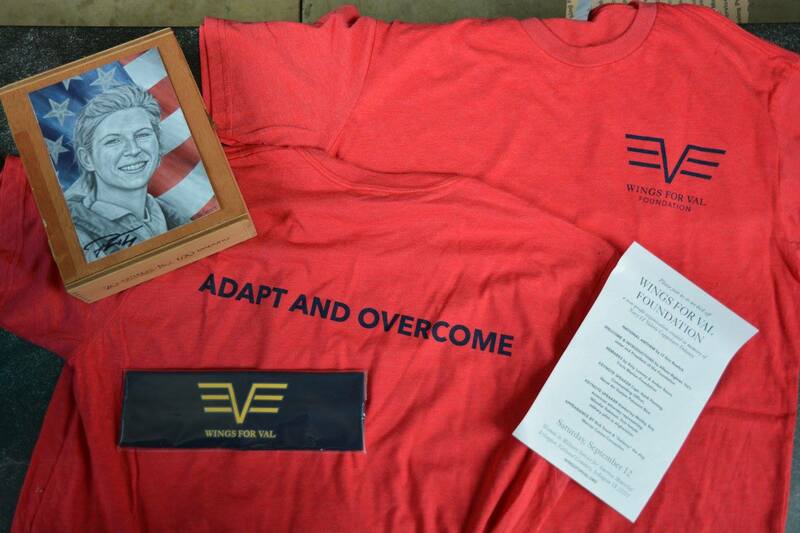 Before and after the race, we had the opportunity to talk to so many Navy midshipmen and other community members to share Val’s story and goals of our Foundation. We were so encouraged with everyone’s sincere interest and positive response that we left feeling incredibly motivated to continue doing what we’re doing, recognizing this is just the beginning! We can’t thank each and every single one of you enough for your continued support and encouragement. 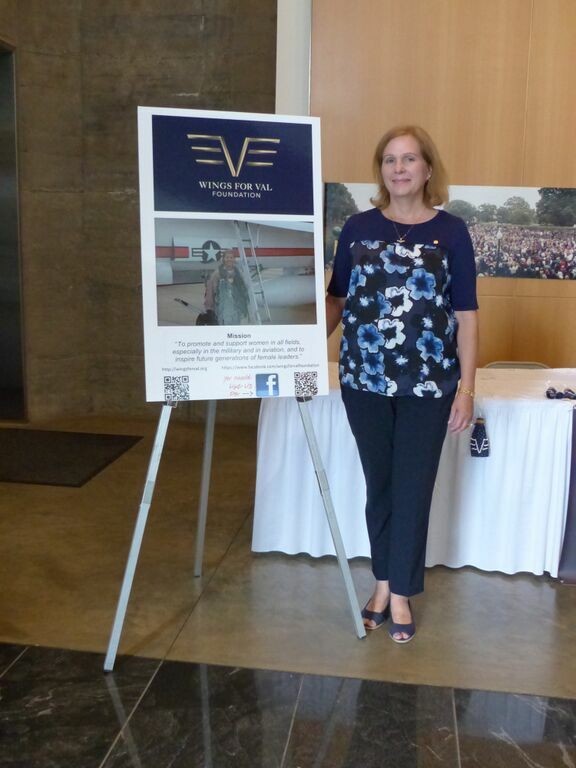 Val’s spirit shines more brightly than ever and we hope that many more women will be inspired by her story and strive to spread their own wings and soar!